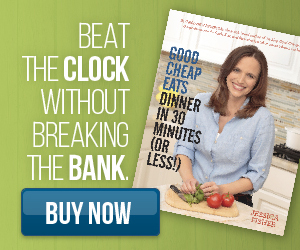 Prepare a quick and easy meal that the whole family will like. These Taco Sloppy Joes, made with Mexican-spiced ground beef and topped with your favorite taco toppings, are delicious! As the school year starts to wind down and the weather warms up, I start thinking about quick and easy suppers to serve. We’d rather be outside playing than inside cooking, right? 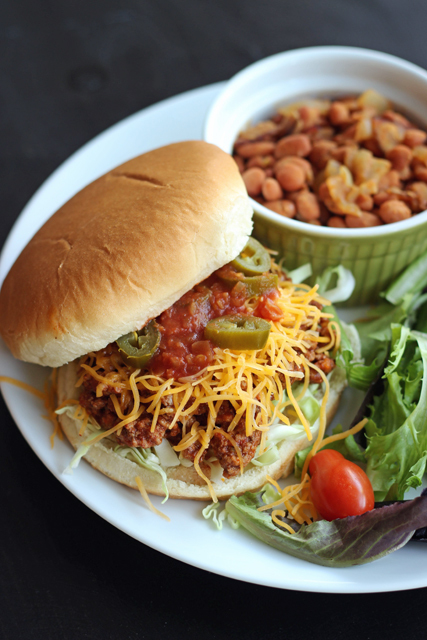 One of our family’s favorite suppers is this taco-twist on Sloppy Joes. FishPapa doesn’t like the sweetness of traditional sloppy joes, but I love what an easy meal they make. I’ve made us both happy by tweaking the standard way of making the dish. Instead of a sweet tomato sauce, I spice up the meat sauce with taco flavors and top the mixture like I would a taco: with salsa, cheese, jalapeños, and shredded cabbage. The result is simple and delicious supper that everyone enjoys. I typically serve these sandwiches on hamburger buns. They’ll be great if you make your own but are just fine on store-bought rolls. You can also serve the meat filling on a bolillo roll, if you prefer. This “joe” type of sandwich is a great one for stretching ground meat. You can make your meat purchase go much farther than with traditional hamburger patties. Feel free to stir in rice and beans to stretch the protein even farther. Cabbage is typically a lot cheaper than lettuce, and it goes well in these sandwiches, making it a great dish for economizing. 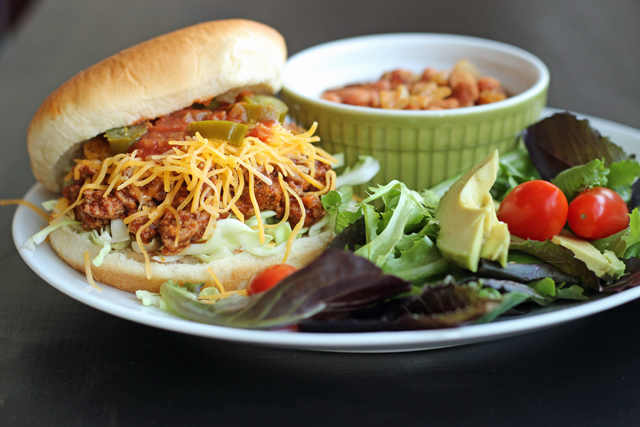 If you make your own buns and taco seasoning, you can keep the price tag low. These Taco Sloppy Joes, made with Mexican-spiced ground beef and topped with your favorite taco toppings, are delicious! In a large nonstick skillet, cook the ground meat over medium heat until no longer pink, 5 to 7 minutes. Stir in the tomato sauce and taco seasoning mix. Allow to simmer for 5 minutes. Assemble the sandwiches by layering the meat mixture, cheese, cabbage, salsa, and jalapeños on each hamburger bun. Serve right away. To make this for freezing: Store the meat mixture in a covered container in the fridge for up to 4 days or in the freezer for up to 2 months. Thaw in the refrigerator before reheating. I’ve never thought of taco sloppy joes. What a great idea! Would he/you eat it with ground turkey? Turkey in any form is very hard to find in South Africa – we only see whole turkeys in grocery store freezers two weeks before Christmas every year! I’d probably eat turkey if I could get organic meat easily. Or I use Morning Star veggie crumbles. Taco Bell used to have a Taco Burger when I was in college years ago..They were dielish!!! Del Taco had them also. Yum! I’ve been stalking your website for about week, but this is my first comment. As a girl who grew up on old-school SoCal tacos (aka crispy beef tacos), I also have fond memories of Taco Bell’s BellBeefer and Del Taco’s Bun Taco. I feel I’d be doing the community a disservice if I didn’t point out that the Bun Taco is now a secret menu item at Del Taco. Ask for one, they’ll happily make it for you. Since we retired and moved to Florida, I’ve had to make them at home and love how cheap they are. I’ve recently grown tired of my usual homemade taco seasoning, so was also happy to see that you’ve got an easy taco seasoning that doesn’t require me to chop and sweat onions. Thank you! Good to know the bun taco is alive and well!